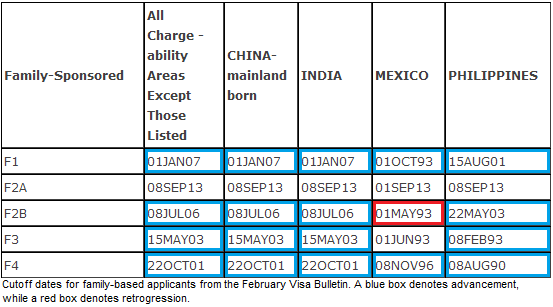 The Department of State has released the February Visa Bulletin. F2A and all employment-based categories for India will be unchanged, while most other categories will see incremental cutoff date advancement of between 2 weeks and 2 months. However, F2B Mexico will retrogress by nearly one full year in response to heavy demand, and, while it will not happen in February, we are still expecting F2A retrogression for all regions sometime in 2014. 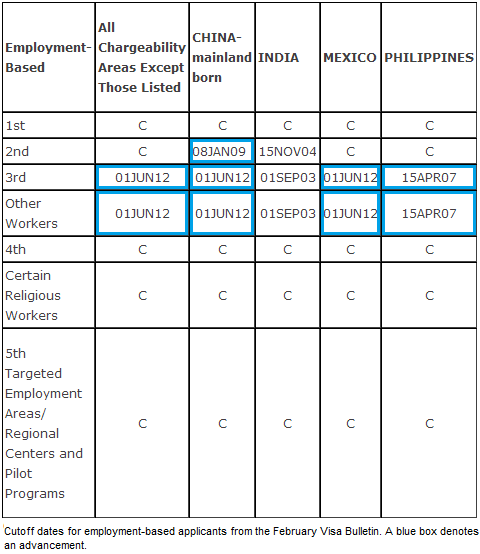 The Department of State offered no forward guidance for employment-based categories.